Very pleased with our experience with Chase. Professional, polite, caring and conscientious. Thank you very much! Courteous, prompt, and professional. Would highly recommend. Chase Thompson was very responsive, professional and conscientious in helping me with a complex issue at my house and identified an important safety problem I did not know was present. I recommend him highly for anyone who needs help with a water heater problem. We had a leak in our 15+ year old water heater. I called Chase and he was able to come out that morning. 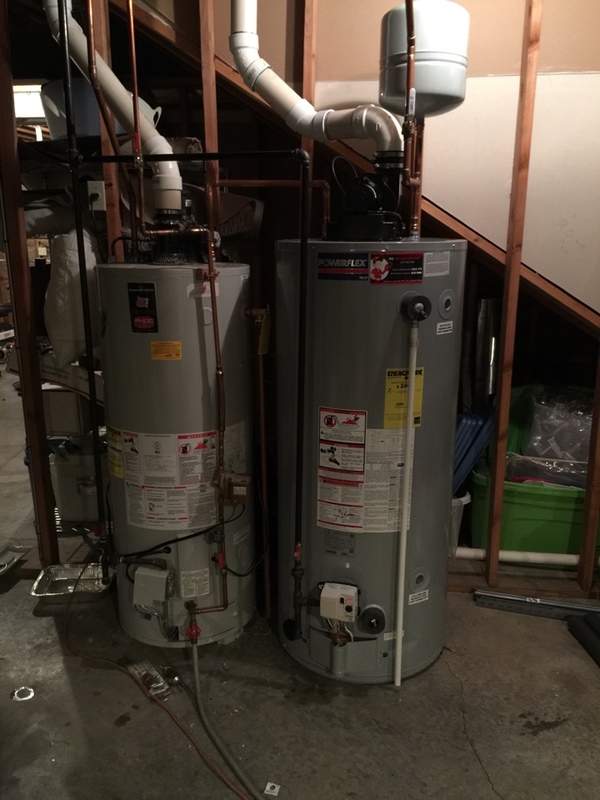 He answered all my questions and was able to remove our old water heater and install a new one that day. He was very knowledgeable about the different building codes around KC and took the time to share with me how to increase the life of my new water heater with some simple once a year maintenance. I will call him if I have any future plumbing needs and would recommend him, especially if you have water heater problems. Bottom line: Friendly, knowledgeable and did quality work at the best price. I called many different companies it almost seems the bigger they were the less they knew. I finally through a friend got KC Water heaters number where they were knowledgable and reasonable. I would highly recommend KC water heater to all of my friends and family. Very professional and curious. Chase was quick to provide quote. Quote was better than most other bids. Arrived on time and charged exactly as quoted. Very professional installation. 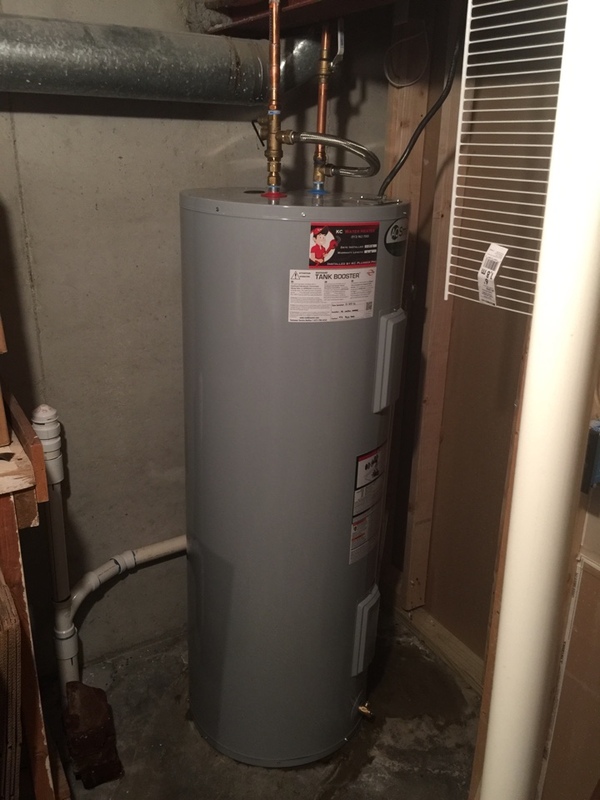 Chase installed a new water heater in a timely and professional manner. He listed to and answered all my questions satisfactorily. Chase is a gentleman and I trust his services completely. Chase was professional, courteous, and affordable. Chase replaced the older gas valve, removed extra copper pipes, installed a hard pipe for gas (removing the old bendable pipe) and moved my vent a few inches by rotating the Y-split to keep my single walled vent and costs down. Chase did these extras at no additional cost. The final cost was exactly as quoted. 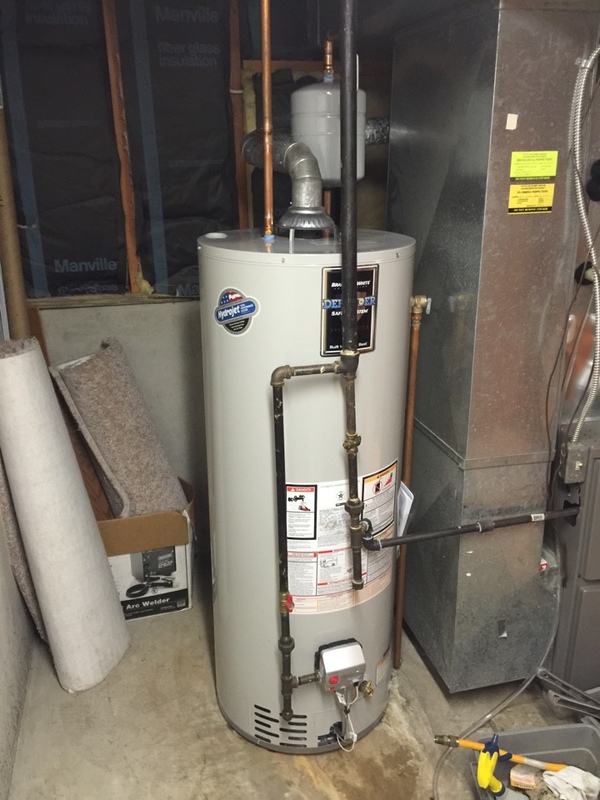 KC Water Heater was the most affordable of 6 plumbing quotes. 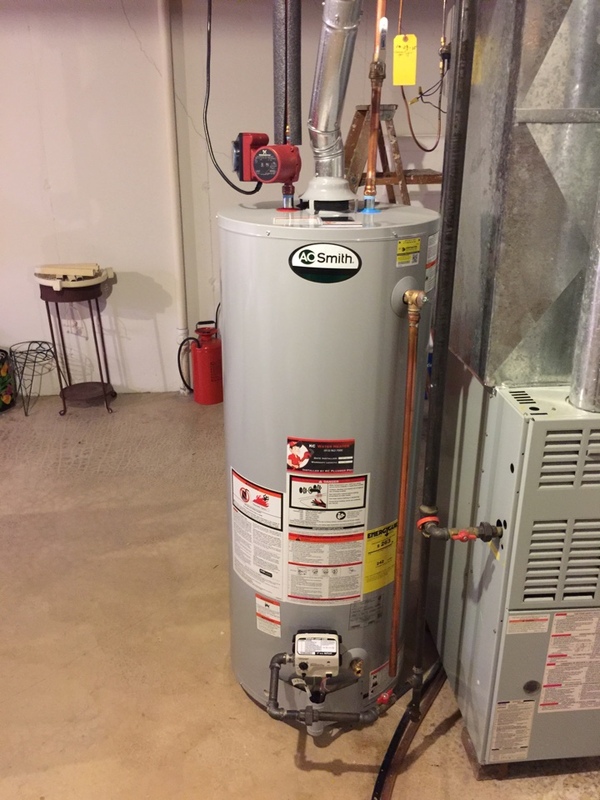 Specializing in water heater replacements and sticking to Internet advertising allowed KC Water Heater to provide a top notch service at affordable rates. At the higher quotes I was prepared to replace the water heater myself. 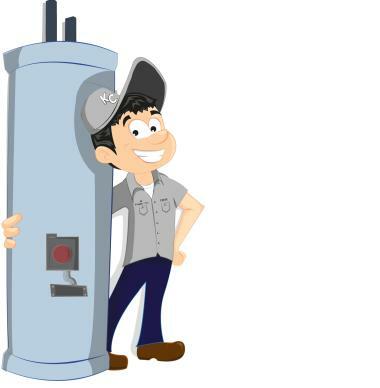 I will definitely refer KC Water Heaters for any water heater replacement job. Install 72,000 BTU power vent. Install 50 gallon Bradford White. Replace 5 year old Bradford White. 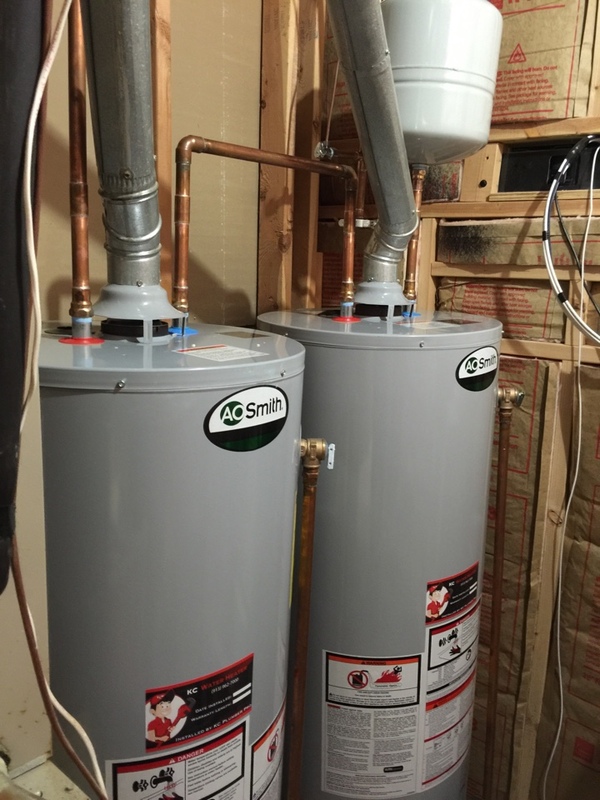 Install GCR50400 hot water heater. 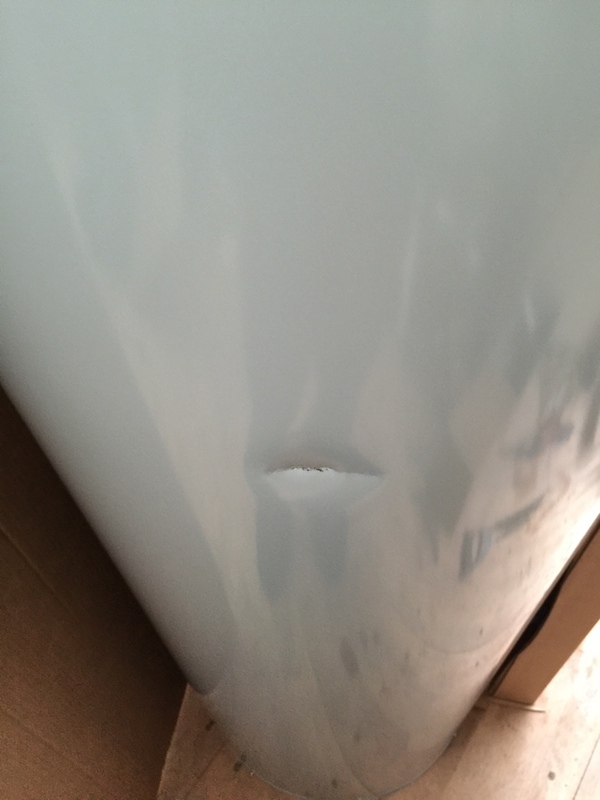 Sometimes water heaters get dented during shipping. When they do we get you a new tank. 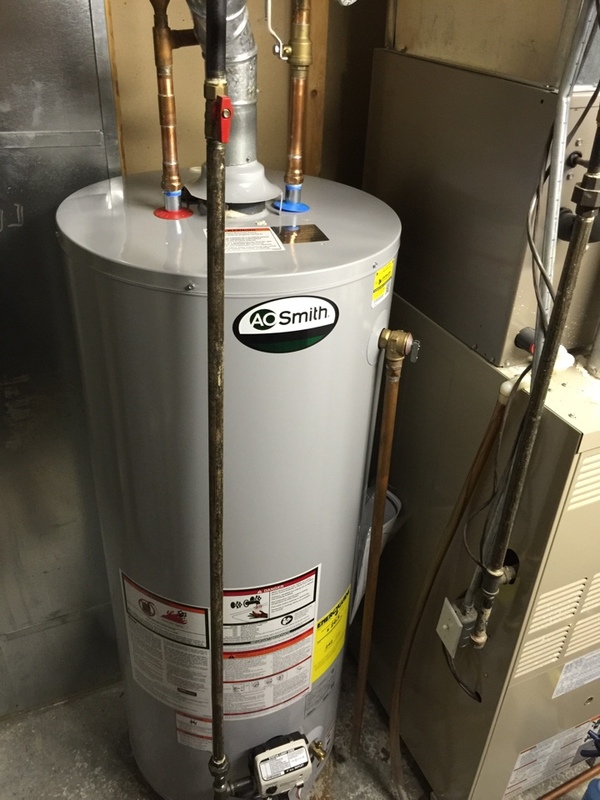 Install power vent AO Smith water heater. 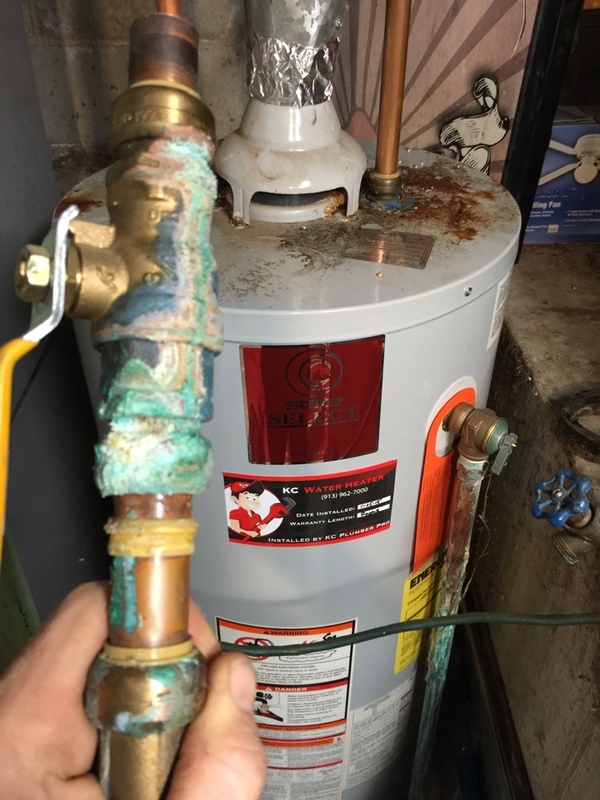 Replace Sharkbite fitting on top of water heater. 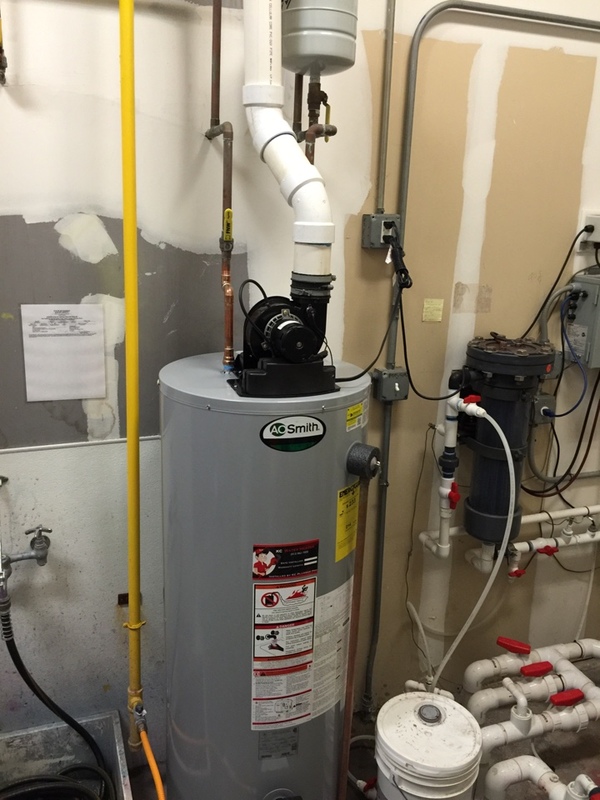 Install 50 gallon ENT 50 100 AO Smith along with tank booster to increase hot water supply. This electric water heater puts out 71 gallons for the first hour. 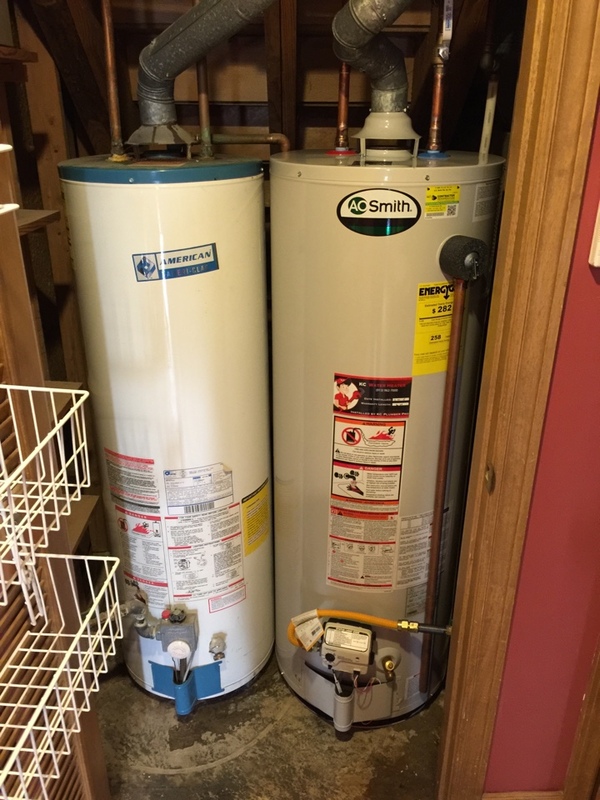 Replace 50 gallon AO Smith hot water heater. Install 50 gallon AO Smith. 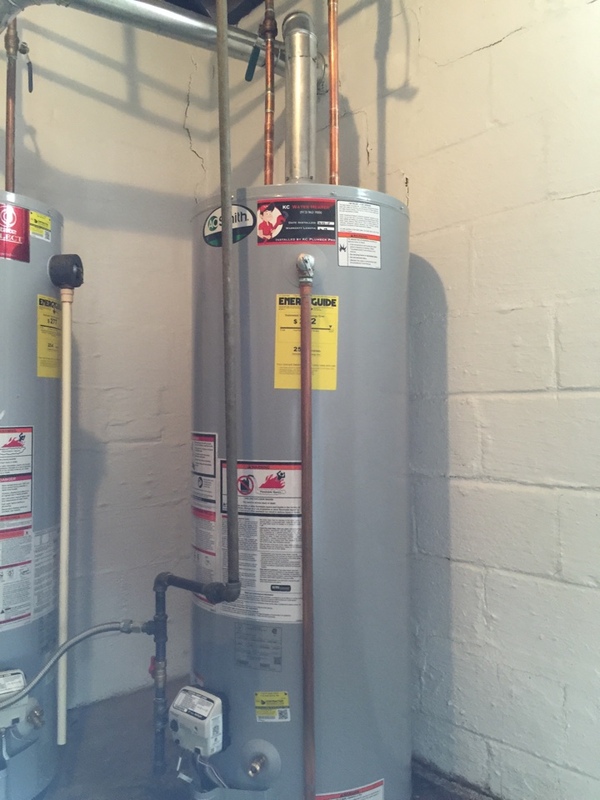 Replace two AO Smith water heaters.